A good cover for your book is an important factor in attracting your customer’s interest especially when they are evaluating your book for the first time. It can inspire your customer to action. Get it wrong and they may move on to another author. So this week, I’m going to design a kindle book cover and hopefully discover a few of the problems and maybe even the triumphs along the way with the Amazon process. First, I checked the Amazon file requirements for upload so that I didn’t spend a long time designing a cover image only to find it wouldn’t upload or display properly. Amazon require the finished file to be in .jpg or .tiff format with images uploaded at minimal compression possible. The format size is important. It should have a format height /width ratio of 1:6.
and for best quality, use 1563 x 2500 pixels. Colour should be in RGB and the advice from Amazon is to use colour whenever possible or relevant. A great tip is to use a medium grey border around the outside if your cover is white or very light, so that it stands out against Amazon’s white background. So if you’re good with Photoshop or similar, these requirements should pose few technical problems. If your book is a thriller, you don’t want the image to be of kittens playing with a ball of string, unless you’re a bit strange. Your cover should convey some of the mood and flavour of your book. Try picking an image that enhances what you feel the book is about and use it in the design. Some covers feature a particular passage from the book or an idea of the central characters, and these can be a powerful call to action. Also, consider whether you want to use an illustration or photograph, and which would suit the style of the book best. If you use photos, check you own copyright before uploading. Amazon are very clear about this and your book could be removed for infringement of this rule. The best approach, is to try lots of ideas before you create anything final. A piece of paper and a pen are a great way to jot ideas down without getting caught up in computer headaches. Obviously your eBook needs a title and the author’s name on the cover. Think carefully about the typeface and what you want it to convey. Remember when your book is displayed on the Amazon book shelf it will be with thousands of other books and displayed at a very small size. It is important to get noticed here. get this wrong and your book may remain on the shelf. A compelling or powerful cover will help you tempt your potential readers to buy. So what happened with my own cover? You can see it at the top of this page. I may use it later for a photography eBook I am currently working on. As the photographer, I have my own copyright on the image, meaning I can publicise the cover as much as I like on Amazon or other sites without any copyright problems. Need help with your book cover? I can help you through any part of the design or technical process and provide you with a totally unique royalty free image and cover design. Importantly one that will transfer to the print format and look good in all sizes. If you would like your e book cover made for you, just contact kindle free books for details and pricing. 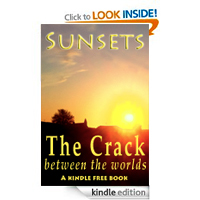 If you are an author that currently has a book available for free on the Kindle then please leave a comment below with the title of the book and your author name. 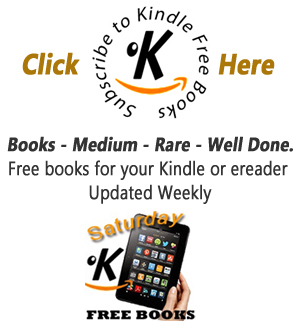 Or follow kindle free books on twitter and @kindlefreebook with the title and authors name its all publicity for your hard work.